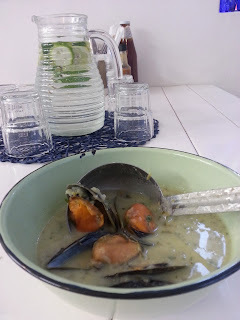 I’m going through a Mussel craze at the moment, every week I hope for left overs after the market so that hubby and I can share a feast of Mussels. We sell out most weeks so I’ve had to be sneaky and actually buy some from myself and hide them away. So these are my last three experiments and I’m happy to say they were delish. So much so that I had to blog the recipes quickly so I wouldn’t forget. Apologies for the quick cell phone picks, we just could wait to tuck in. Slowly sauté the leeks in a little butter to soften but not colour. Add the chorizo and allow to cook slowly for around 3 minutes. Add the tomatoes, garlic and thyme, stew slowly for 10 to 15 minutes until thick. Pour in the beer. Turn up the heat. Steam for 5 minutes, until all the mussels have opened. Finish off with a handful of flat leaf parsley. The tomatoes and beer make a lot of juicy sauciness, perfect to mop up with some fresh ciabatta. Fry the leeks and fennel a little olive oil. Steam the Mussels until they open – about 5 minutes. 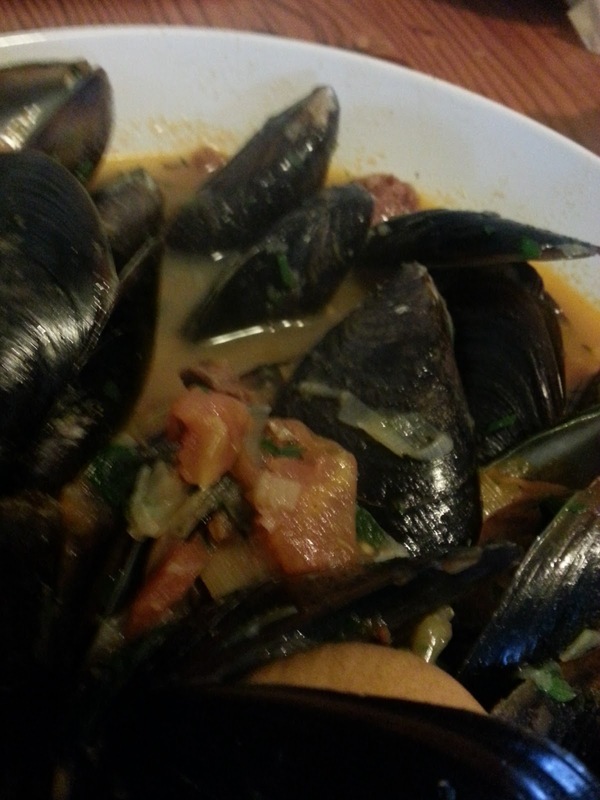 Remove the Mussels from the pot. Add the peas and simmer until just cooked. Add the butter little by little stirring in-between to emulsify. Finish the sauce with a handful of parsley. Add the Mussels, season and serve. So its that easy, so easy in fact you probably don’t even need a recipe – Mussels love booze, thyme, garlic and cream. 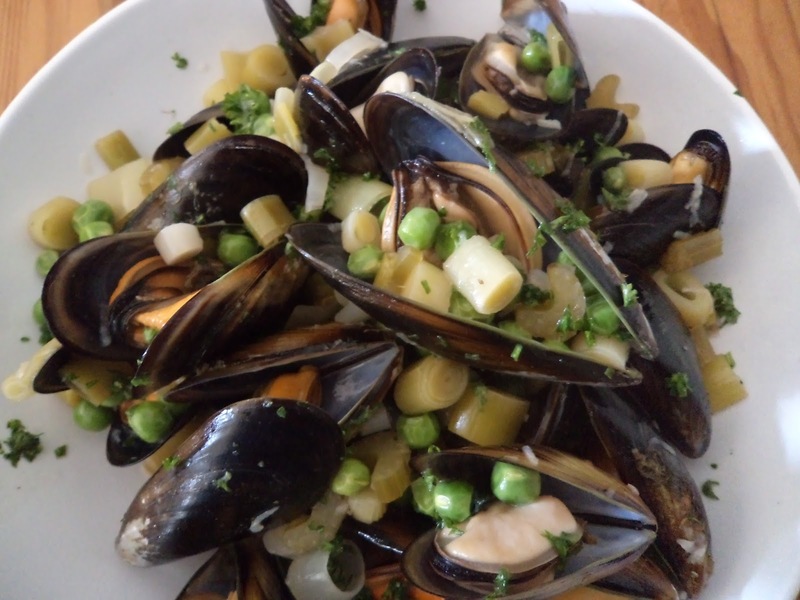 Get yourself some fresh mussels and start your own delicious experiments.